Stunning cold water diving with sheer walls of corals and sponges in great visibility. 218m cliffs above the water, pick your depth below the surface. UNESCO site, marine reserve with sea bird colony on the surface (and Star Wars filming location!!). Travelers up for an adventure should check out this dive resort on the westernmost point of Cuba. 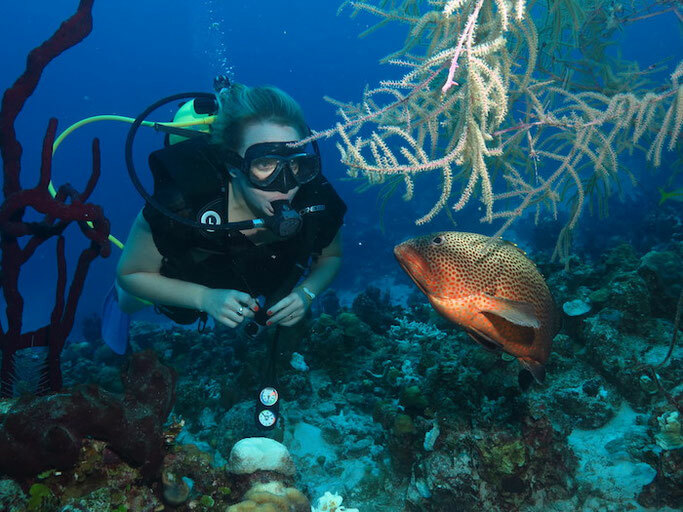 Variety in warm-water dive sites from healthy shallow reefs to deep open-water areas mean opportunities to experience a broad array of biodiversity. There’s something here for divers of every experience level. A very little known place with the largest aggregation of oceanic mantas in the world... need we say more... manta manta manta love. Pristine reefs, 50m+ viz, turtles, fields of anemones, countless caverns, huge schools of hammerheads and of course the mysterious underwater ruins: Yonaguni Monument. Plus the added bonus of Japanese food, cheap beer ($2 a bottle) and sake! It’s the hidden secret island equidistant between Lembeh and Bunaken which now both are very busy with many dive resorts. Bangka Island is 2 hours drive and boat from Manado airport but feels really remote, it’s in the centre of the coral triangle so has the most biodiverse marine life in the world - from millions of nudis to the magnificent dugong, frogfish, Pygmy seahorses, incredible things on every dive, and a massive variety of dive sites - walls, caverns, pinnacles, shallow reefs, muck dives, drift dives. Check out liveaboards in Indonesia here. During beginning of December. Squid runs are amazing! This is a sandy bottom, shore dive site with facilities. There is a deep canyon behind it and at night, all sorts of life comes up from the canyon to feed. The squid come up to 70-100' to mate and lay their egg sacs. Its an amazing site to see with tens of thousands of squid between your and your partner. The Wild West Coast has shipwrecks dating from the 1600s to World War 2 and everything in between, walls covered with life, reefs of serpulid tubes, fireworks anemones, soft corals, scallops to name a few. In the summer you can dive with basking sharks up to 10 metres in length. Or you can dive with seals on the East Coast, beautiful caves in St Abbs, or even wild dolphins on the North Coast (if you’re lucky!). Absolutely ginormous groupers, barracudas, and even mola molas if you are very lucky. Visit the great white wall and enjoy the endless soft corals. Also filled with marine life and pristine hard Corals. Enjoy the vibrant culture of Fiji, enjoy some Kava, and dive till your heart is content. Rangiroa in the Tuamotus and dive ‘The Pass’. You start outside the pass on the incoming tide on a reef that feels like it was plucked from Finding Nemo and then the current begins to pick up and carries you through The Pass into the crater where you simply drift along watching sharks, rays (Eagle and Manta Rays)and an array of sea life many divers only dream of. Your drift ends in ‘The Aquarium’ over a beautiful reef full of tropical sea life. Plus the Tuamotus are beautiful, remote and quiet. Amazing! You’ll be surrounded by 500 sharks, where do we sign up? t’s one of a kind cold water destination and one of the most memorable (non sealife, but amazing nature) dives for this GTS member. Read more on what you need before you dive Silfra here. About 100 miles off the coast of Texas exists one of the healthiest reef systems in the world thanks to the marine sanctuary status. The Gulf of Mexico’s hidden gem is definitely worth the trip out through one of the approved charters. Large pelagic species make frequent stops by the reef system on their migratory journeys. Better suited for intermediate to advanced divers. Whale sharks, manta rays, humpback whales, dugongs, dolphins. Almost always sharks on the dives, masses of fish big & small in the whole rainbow, some fabulous soft corals & impressive hard coral structures, super friendly turtles virtually assured at a variety of dive sites, various rays, sea snakes. Excellent for macro & super macro lovers, too! So many nudibranchs, shrimp, crabs, weird and wonderful critters. We spent 5 days here in 2017. 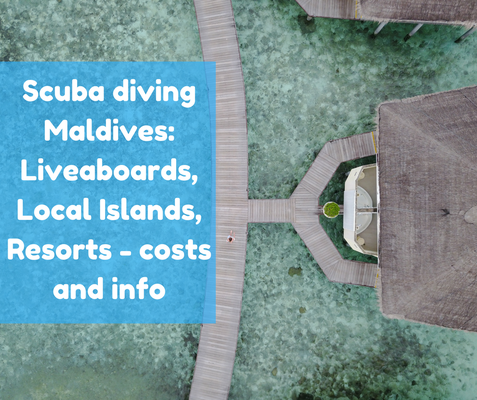 Maldives without the price tag on this beautiful local island famous for its shark night dives and almost daily manta sightings. Read more about our diving in Fulidhoo here. Ok, this one isn't exactly unusual, but it's the dream. Schools of hammerheads, dolphins and rays make these islands a highlight for many divers. Will your diving dream come true in 2018? Do you want Girls that Scuba to dive with you in 2018 and be featured on this website and social medias? 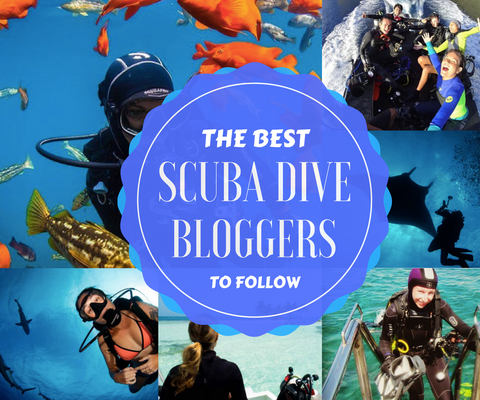 Give us an email at sarah@girlsthatscuba.com and let's talk diving!